Last Updated: December 6, 2018 | Subscribe to our weekly newsletter! Think about it. Without a sanitizer in your spa, you’re basically stewing in a tub of hot water filled with skin cells, soap residue, and bacteria. Graphic, yes, but we never shy away from illustrating the absolute need for sanitizer in your hot tub. The question is, which one should you use? Of course, chlorine immediately comes to mind. But have you heard of bromine? Even if you have, maybe you’re still not sure which sanitizer is right for you. And you’ll find chlorine and bromine tablets and granules are available, so which delivery method is best? To make those decisions and keep your hot tub clear of icky hazards, you just need a little knowledge about both sanitizers, and how to add them to your spa. While chlorine is the most common sanitizer for swimming pools, bromine is used to sanitize hot tubs more often, with good reason. Before you can make an educated decision about which sanitizer to use in your hot tub, you need to learn about their features, benefits, and drawbacks. You know sanitizers kill bacteria and other yucky stuff. But exactly how do these two sanitizers do that? Chlorine: It oxidizes contaminants, invading them and destroying them from the inside out. As it works, the chlorine dissipates and turns into a waste product called chloramines. These remnants are responsible for the stinging, drying, stinky reputation chlorine has, and reduce the sanitizer’s effectiveness. To keep chloramines at bay, you’ll need to add chlorine on a regular basis, usually at least once a week. If it gets really bad, though, and the chlorine isn’t doing the job on its own, you can shock your hot tub to get rid of chloramines. You want to do that on a regular basis anyway, to keep your water clear and pristine. Bromine: It ionizes contaminants, forcing apart their chemical bonds. A good amount of it remains active and working, even after combining with contaminants. But bromine also produces a waste product called bromamines. While they’re not as noxious as chloramines, they still reduce the effectiveness of the bromine in your hot tub. Shocking is also the solution here. The measure of a sanitizer’s effectiveness is its reactivity rate. This refers to how quickly it destroys contaminants. Chlorine: Kills contaminants more quickly than bromine does. Bromine: Is a very reactive element, though not as reactive as chlorine, so it kills more slowly than chlorine. Bromine also has a lower pH than chlorine, so it can help keep your overall water chemistry more balanced, which means less adjusting and finagling for you. While chlorine may work more quickly, bromine is more stable than chlorine, especially in warm water. Chlorine: Dissipates more quickly than bromine, and therefore needs to be replaced more often. Bromine: Kills bacteria in your spa for a longer period of time than chlorine. The exception to this rule is ultraviolet (UV) light, which destroys bromine more quickly than chlorine. This is a concern if you have an outdoor hot tub, and makes using your hot tub cover all the more important. Even worse than red eyes and brittle hair is the debilitating effect chloramines have on a sanitizer’s ability to fight contaminants. The more chloramines in your hot tub, the higher the probability of algae growing and bacteria breeding. To get optimal benefit from any sanitizer, you need to use enough to work with how much water your hot tub holds, which correlates to how big the tub is. The first thing to do is follow the manufacturer’s instructions. Then, to know whether you’ve used enough, you’ll need to test the water to gauge the levels. Chlorine: The ideal level for chlorine is 3 to 5 parts per million (ppm). Bromine: There’s a little variance here. If you use bromine tablets If you click this link and make a purchase, we earn a commission at no additional cost to you. , shoot for 2 to 4 ppm. Granular bromine can sometimes result in slightly higher levels, so be sure to keep an eye on things, and maintain a level somewhere between 3 and 6 ppm. If you end up with too much chlorine in your hot tub, you can try a few things to lower the levels. You don’t have to completely start over with fresh water. Same goes for bromine. Also be aware that you’ll likely need to use a larger dose of bromine than chlorine to achieve the same sanitizing results, and bromine costs more than chlorine. But because you don’t have to use it as often, it’s possible that the cost may turn out to be the same. That also depends on the size of your hot tub, and how well you keep the water clean and balanced. You’ll have to weigh the benefits against the cost to determine whether it’s worth the extra expense for you. 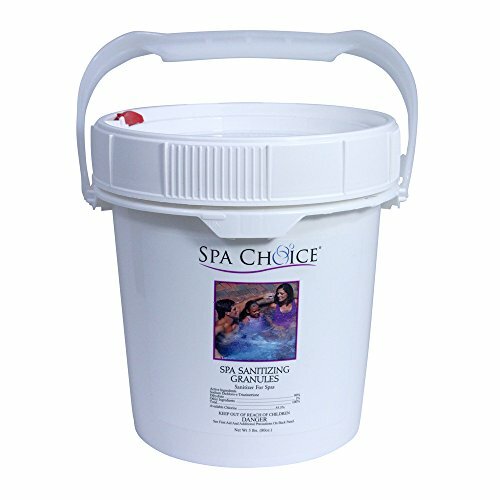 The spa chemicals you use are all safe in the proper amounts. But some people may react differently to them. Chlorine: Can be harsh on the skin, hair, and eyes, especially at too-high levels. Also, when chloramines linger in the humid air around a spa, they can cause breathing difficulty and even trigger asthma attacks. Bromine: Is gentler on your skin than chlorine, but can be a bit more difficult to wash off after a long soak. 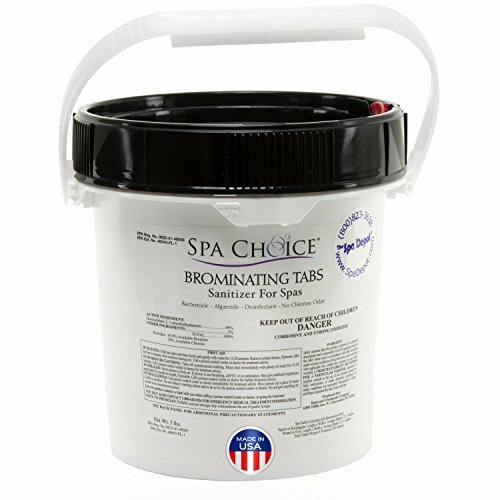 If you or anyone who uses your hot tub on a regular basis has sensitive skin or any kind of upper respiratory difficulties, bromine will likely be the better choice. mix them together in the water. This can also cause a dangerous chemical reaction. If you’re going to switch from one to the other, you’ll need to drain and clean your hot tub, and do a line flush If you click this link and make a purchase, we earn a commission at no additional cost to you. .
mix them together in their dry state, especially the granule forms. This can also cause a dangerous chemical reaction. store them next to each other. Even in their separate containers, this is dangerous as the fumes they give off can combine and become combustible. use the same feeder for both, whether you use chlorine or bromine tablets or granules. Even if you think you’ve cleaned it well enough, some of the chemical remnants can react with each other. If you know how to use a measuring cup, you can add chlorine granules If you click this link and make a purchase, we earn a commission at no additional cost to you. or bromine granules If you click this link and make a purchase, we earn a commission at no additional cost to you. to your hot tub. 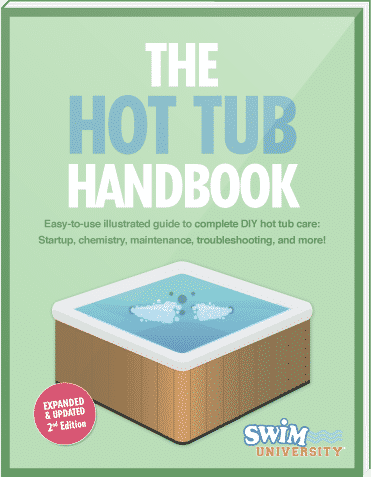 Determine your hot tub volume, or how much water it holds. Turn the hot tub on, if it isn’t already running. Read the instructions on the chlorine or bromine container carefully. Measure the amount of chlorine or bromine recommended by the manufacturer for your hot tub’s volume. Pour the granules slowly and directly into the hot tub. Allow the water to circulate for 20 minutes to allow the sanitizer to disperse. 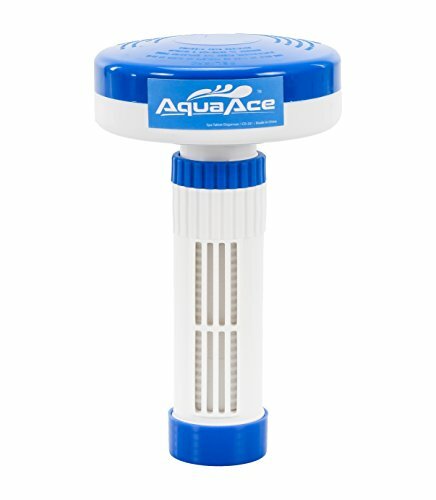 Test the water If you click this link and make a purchase, we earn a commission at no additional cost to you. to ensure proper sanitizer levels. Make adjustments as necessary. You don’t have to add these as often as granules, but tablets are still not completely a set-it-and-forget-it method. Read the instructions on the chlorine or bromine tablets container carefully. Place the recommended number of tablets (usually 1-inch tablets) into a feeder If you click this link and make a purchase, we earn a commission at no additional cost to you. (also called a floater, chlorine/bromine float, chlorine/bromine dispenser, chlorinator, or brominator). Adjust the feeder (if it’s adjustable) according to the manufacturer directions to control the release of sanitizer. Hold the feeder under the hot tub water for a few seconds to push the air out and keep it more stable while it floats. Test the water over the next couple of days to ensure proper sanitizer levels. Make adjustments as necessary. Remember that no matter how well you maintain sanitizer levels, you’ll still have to drain and clean your hot tub from time to time, ideally quarterly. The choice between chlorine and bromine tablets and granules should be a lot easier now. And remember you’ll be changing your water and deep cleaning your hot tub every few months. If you don’t like the sanitizer you chose, you can always switch when you change your water. 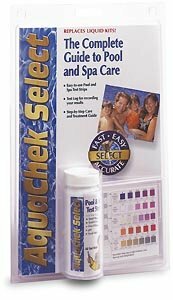 Whichever sanitizer you choose, just remember to regularly test to make sure the levels stay where they need to be to keep your water clean, and keep you and your hot tub guests healthy and happy.